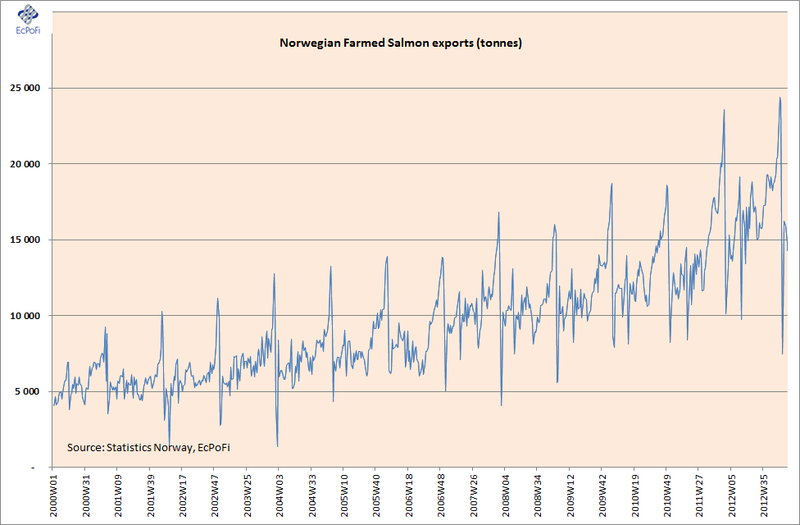 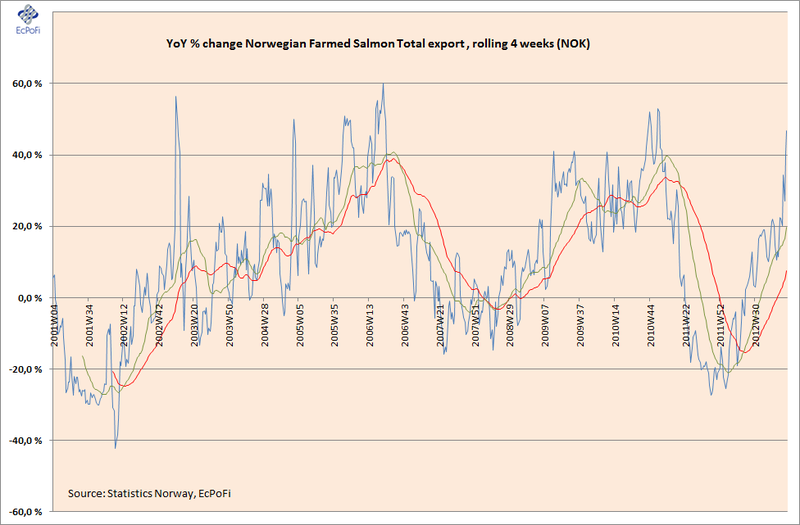 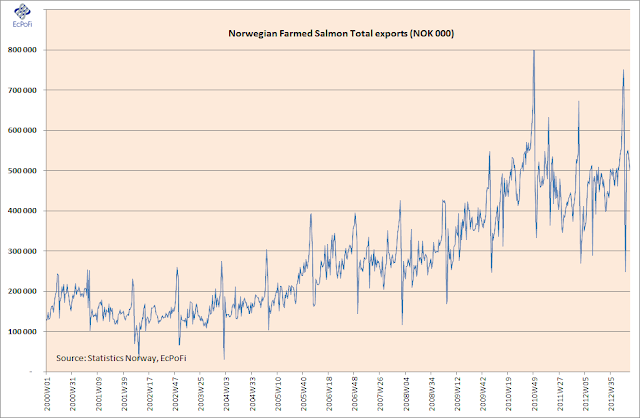 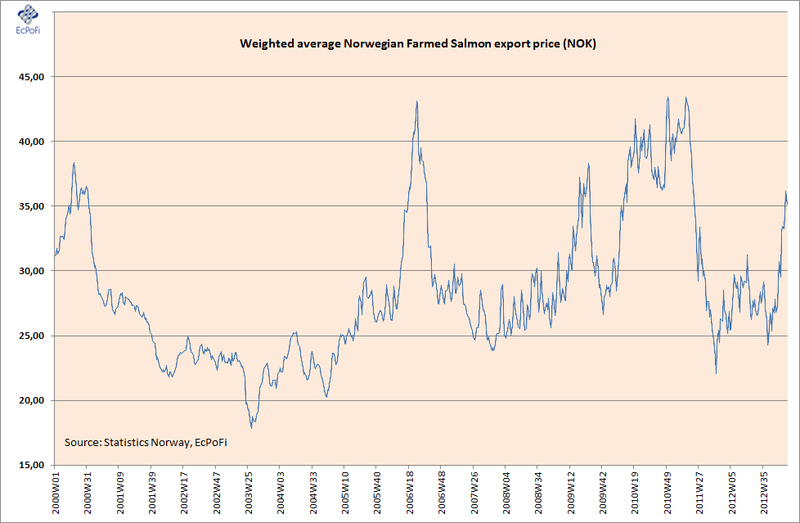 Statistics Norway reported an export of 14,307 metric tonnes of fresh/chilled and frozen farmed salmon from Norwegian salmon farmers in week 5, 2013. On a rolling average four week basis volume in tonnes exported increased 8.8% (1,244 tonnes) on the same period last year. The weighted average price per kilo for the week was NOK 35.13 and was up 35.2% YoY on a rolling average four week basis. 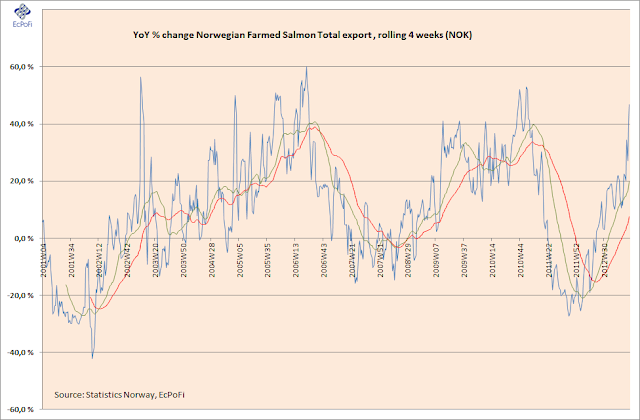 The value of exports for the week was NOK 502.659 million, an increase of 46.8% (NOK 169.594 million) on last year on a rolling average four week basis. 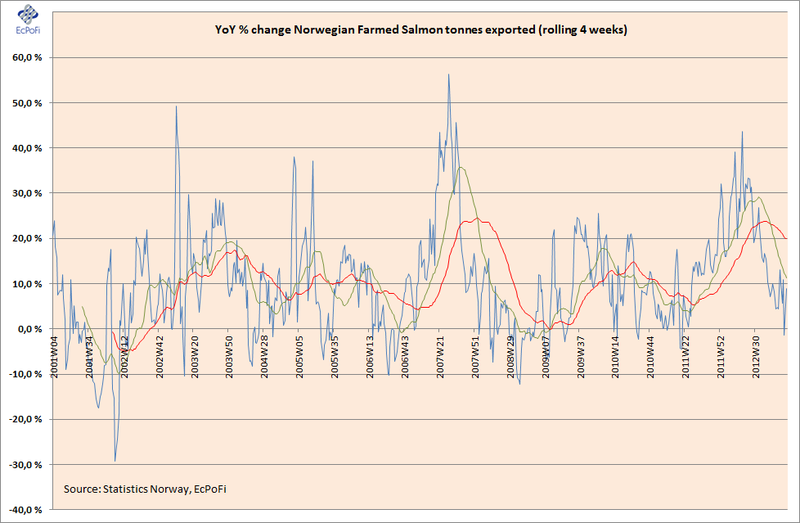 Tonnes exported increased again significantly on last year. 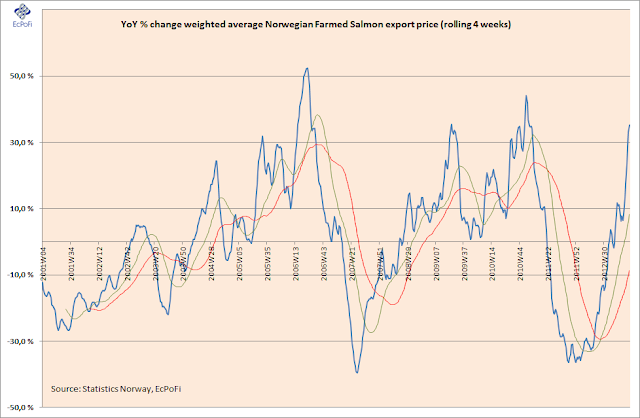 Prices for the week increased for the 16th week in a row on last year with the YoY percentage increase (rolling four week average) for the week being the highest recorded for 108 weeks (since week 1 in 2011). 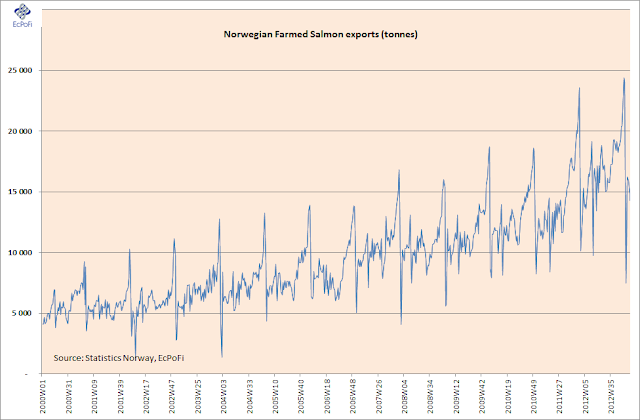 The total value of exports continued to increase on last year, driven again by the increase in price, and represented the 36th week in a row with an increase on last year (on a rolling four week basis). The YoY percentage increase in the value of exports (rolling four week average) increased at the fastest pace for 109 weeks (since week 52 2010).